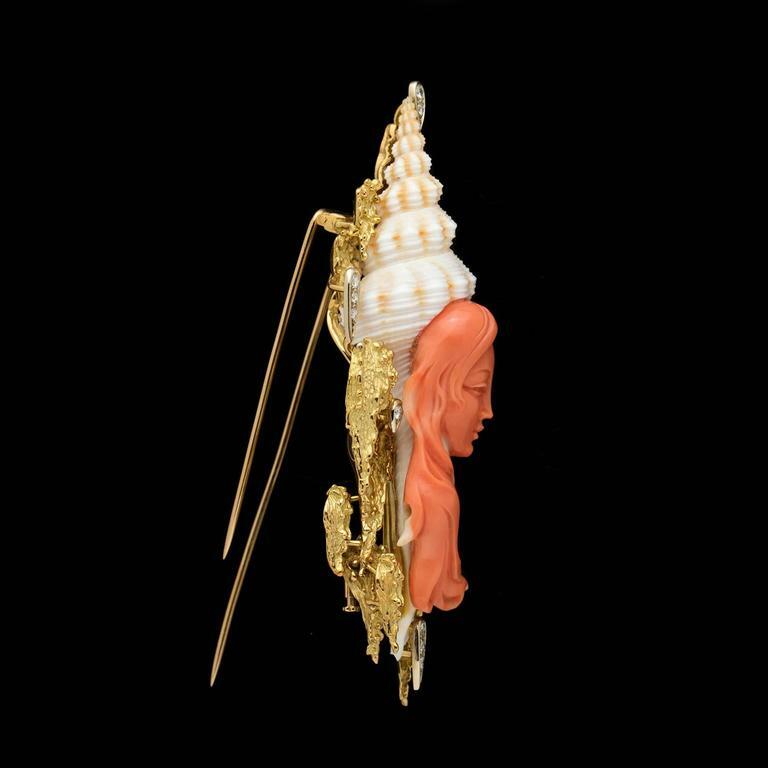 This fantastic piece of art features a carved coral portrait of a young woman on a 18k yellow gold brooch adorned with approximately 0.44 carat total weight of round brilliant cut diamonds. 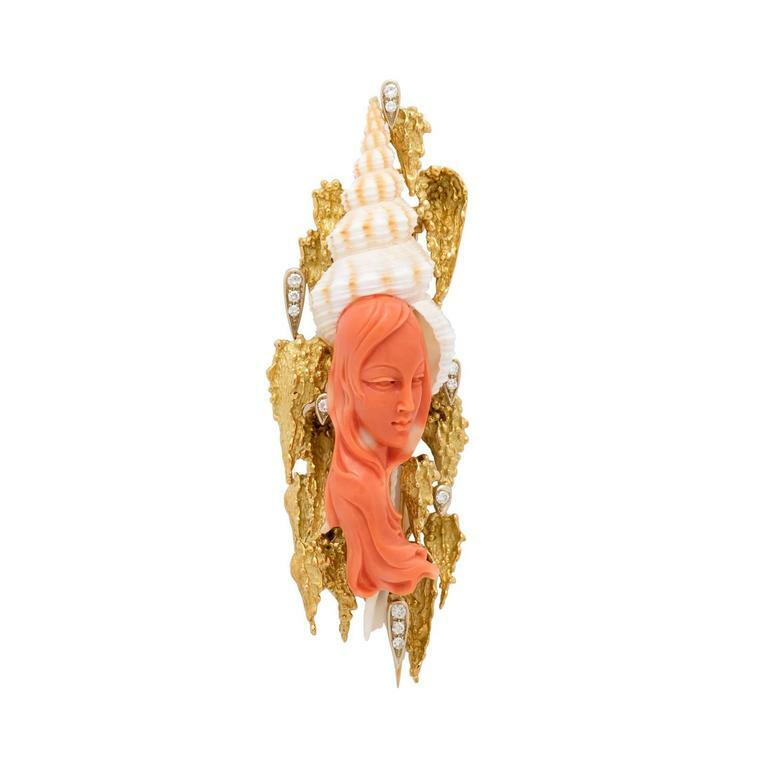 The coral figure is elegantly placed with the seashell opened to her ear. 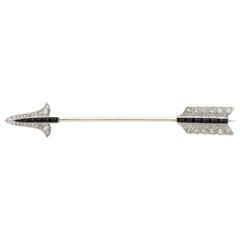 This piece measures 4 inches long and 1 1/2 inches wide and weighs 61.9 grams. 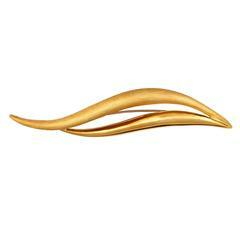 Henry Dunay "Sabi" 18k yellow gold brushed and high polished brooch measures 4 x 3/4 inches and weighs 29.5 grams. 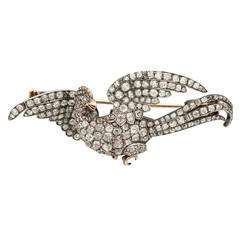 A beautiful, evocative brooch by a collectable New York designer. 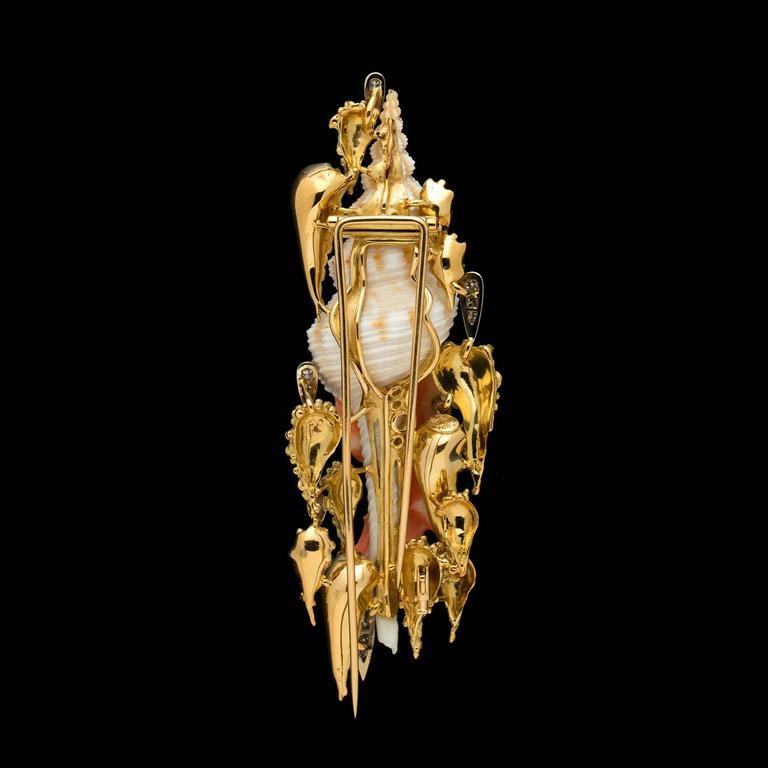 Antique Brooch representing a Shrimp. 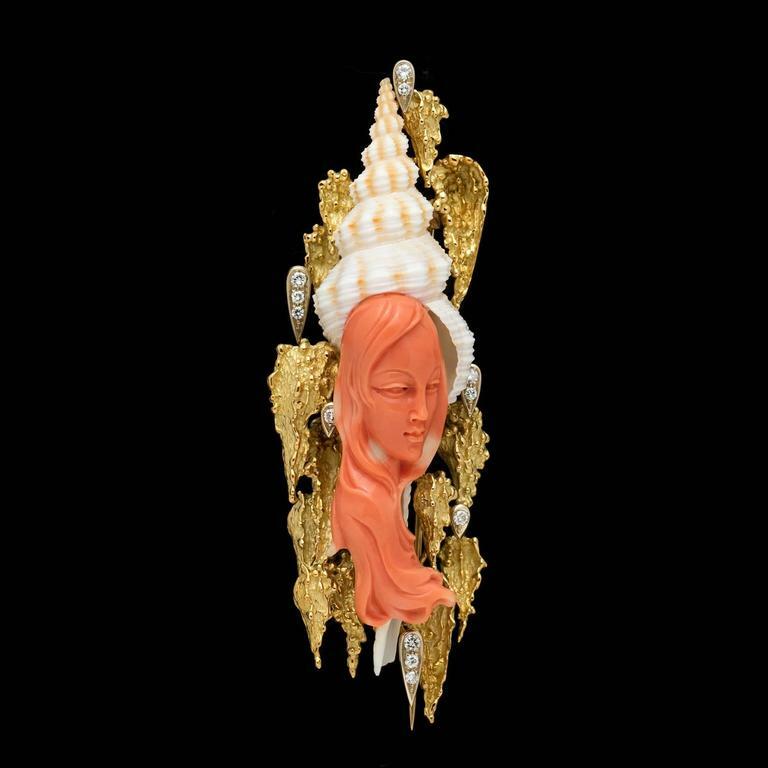 All in natural antique coral on gold. Italian work. Early 20th Century.